Join one of the most powerful fundraising activities to help the Conservative Party in recent years - The Conservative Weekly Draw. Every week you have the chance of winning our £1,000 1st Prize or one of 20 x £25 prizes - and every quarter you could win our £5,000 Jackpot, or one of our other cash prizes. 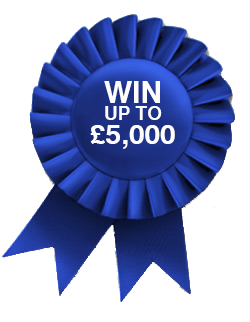 Conservative members near to you are winning weekly, with some members being up to £5,000 better off. As well as this, the profit from the draw is already reaping significant benefits to the party across the country. IT'S OUR VERY OWN CONSERVATIVE LOTTERY! The Conservative Weekly Draw is promoted by The National Conservative Draws Society (NCDS), Disraeli House, 12 Aylesbury End, Beaconsfield HP9 1LW. Responsible Person: Philip Dumville. Must be 16 or over to play. Underage gambling is an offence. £1 per entry. NCDS are licensed and regulated by the Gambling Commission, license number 005027. Website: www.gamblingcommission.gov.uk. NCDS is independent of the Conservative Party but all profits are donated to the Party or Conservative candidates. Full Terms and Conditions can be obtained by writing to the administration offices at; The Conservative Weekly Draw, PO Box 653, Galgate, Lancaster LA2 0XB; or by clicking here.